Firstly let me welcome you all back to work and to wish you a very happy and prosperous new year. Many people I speak to say that 2017 was a year they would rather forget, me included. It seems that the planets were not completely in alignment in 2017, but people are also saying that they are expecting a really positive 2018 - so let’s make it happen! Last year I spoke a lot about being relevant and how we can be busy and even creative, but if we are not relevant, then our ideas and efforts will not be sustainable. To be relevant we must accept the fact that we need people who can lead us to relevance and not leaders who just maintain the status quo. It is only a few weeks in to 2018 and we are already seeing a massive swing back to leadership training. 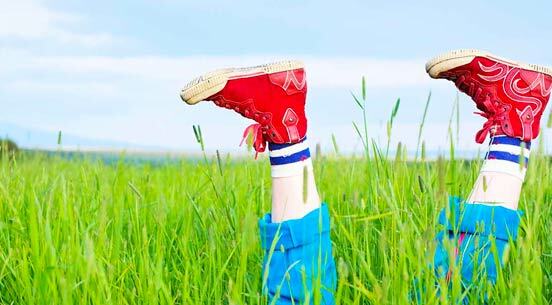 Companies are asking questions and realising that this is not just a nice set of ‘soft skills’ but having untrained leaders could in fact be the downfall of their organisation. So, I encourage HR professionals, Department Heads, CEO’s and whoever else has been given the privilege of overseeing the growth and development of people, fight for your survival and growth this year by influencing the people who matter when it comes to future-proofing your organisation through leadership development – it really will make all the difference. The team at Proteus Leadership is here to assist you in Creating Great Leaders. We are thrilled to announce that Oliver Hunt has been appointed to the Position of Corporate Services Manager based in our Melbourne Head Office. Oliver will be a member of the Senior Leadership Team and will take over much of the day-to-day running of the Finance, Administration, Human Resources, Systems & Automation areas and he will play a large role in ongoing strategy for the business so that we remain lean and relevant and are able to deliver the programs and services that our clients want. For the first time ever we will only be holding one scheduled breakfast this year but will actually be reaching many more places. For those states and regions that did not experience Des Penny’s breakfast on Staying Relevant, we will be bringing this inspirational breakfast to you. This includes Sydney, Perth, Hobart & Canberra. At the same time Richard Dore will be delivering his very topical breakfast – Building A Psychologically Safe Workplace, in Melbourne, Adelaide and Brisbane. 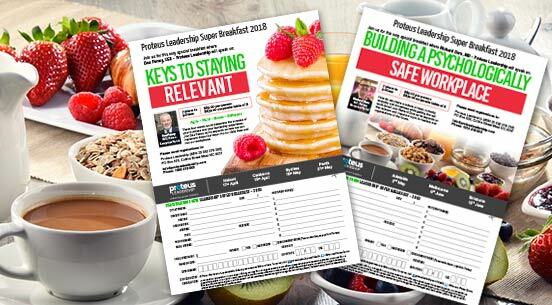 Don’t miss out on bringing your team to the Super Breakfast in your region. For all of those hundreds of past followers of the Optimistic Disturber BLOG you will be pleased to know that it will be returning again at the beginning of March 2018. Des Penny, who is the Optimistic Disturber, will share inspirational and sometimes controversial BLOGS to both inspire and challenge leaders. The whole purpose of these BLOGS is to help Leaders become better at what they do and to realise that whatever they are going through, they are not alone. Sometimes, just the right word at the right time can make all of the difference. Watch this space and we will let you know how you can sign up to follow the Optimistic Disturber. If you don’t receive your hard copy yet, then follow the link below to sign up. 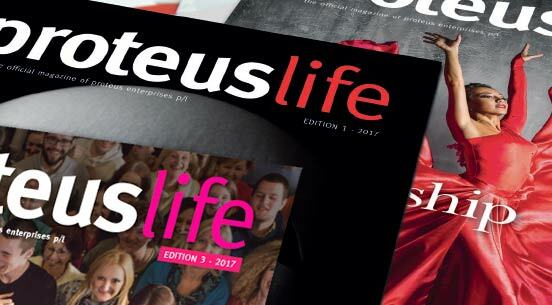 You can also access the magazine electronically through our Proteuslife App.